Where is the ‘fine line’ then? The supermarket industry’s Rubicon? Tesco already sells anything from Life Insurance for your pets and travel to distant shores to party services. By the way, you can get your groceries there as well, including fresh produce…. In future though, starting in South London by the looks of things, shoppers will be able to just pop down from their high-rise flat to their local Tesco store on the ground floor…their Tesco flat that is in the apartment building Tesco has built! The days when supermarkets just focused on selling FMCG products to willing buyers and saw their place in the supply chain as connecting manufacturers and shoppers are long gone and nowhere is that more obvious than in the UK. 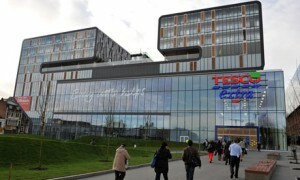 For the last 20 years, UK supermarkets have been depicted as the bad boys on the block for developing standalone stores and shopping centres at the outskirts of towns and therefore deconstructing High Streets. High Street now becomes a very viable proposition for smaller format food stores run by supermarket chains and, hey…if there is some urban development that can go with it, the much the better. We have a whole city that needs redeveloping…may be we should sack the Canterbury Earthquake Recovery Authority and invite Tesco to have a go? Can’t be any worse by the looks of things. Meantime back here in New Zealand politics, the Labour Party Leader Selection Carousel has started to spin and Shane Jones, the contender least likely to be successful, stated on national television that supermarkets are akin to ‘brown shirts’ and needed regulating. His point being that a duopoly as exists between Countdown and PAK”n SAVE /New World does not provide sufficient competition to keep food prices affordable. He has a point about duopolies – but only up to a point! We have three limitations in this country which are underlying factors of the duopoly situation that has evolved over the decades – because our food retail industry sure did not start as a duopoly operator. Firstly, we are a nation with 4.5 million inhabitants which does not give us critical mass in any way, shape or form. Secondly, one-third of New Zealanders are akin to a giant Gannet colony, squeezed together in the Greater Auckland area. This means our lack of critical mass is enhanced further in a negative sense. Thirdly, as a food exporter, our domestic price structure for meat, dairy and fish is linked to what we can achieve for our goods on the global market. You can’t just regulate that, get real, Jonesy. Your Leader before the one trying to sell snapper in Parliament was bad enough when he wanted to upset the simplest and most effective GST system in the world by making fruit & vegetables GST exempt. The chaos that would have caused is nothing compared to what would happen if you attempted to regulate supermarkets. All this suggests to me that there is money to be made with an inoculation system for wannabe party leaders which ensures they are administered a healthy dose of economic realism before they wander off and make rash promises in order to be elected. I wonder whether I could obtain a grant for the necessary research from the Minister of Everything? Posted: September 2nd, 2013 under Supermarkets- the other stuff, Thoughtpieces. Time for some Mental Cultivation? The Left Right Think Tank, according to The Age, feels that agriculture has an image problem amogst young people. (Well, they are all under 25 in that organisation, so they ought to know…) Dead right, so how are we going to solve that issue? By making farming and horticulture Monday to Friday, 9-5, type occupations? And finding ways to avoid getting one’s hands dirty? Not really feasible is it? 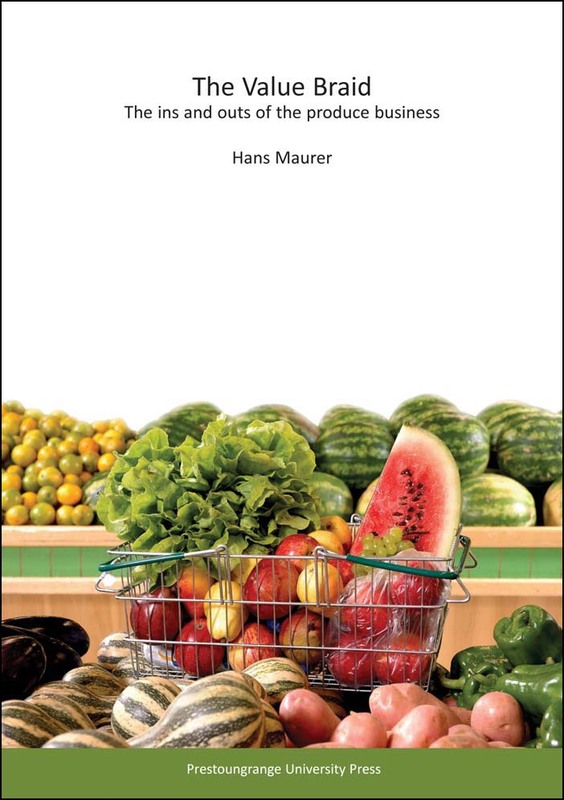 The whole concept of food production, though, is due for a major overhaul. The Dutch – who are never backward in coming forward – are now talking about factory farming, as building these enormous glasshouse complexes they are so apt at plonking into the landscape are simply getting too expensive a construction project to contemplate! And what are the Dutch minds focusing on? Empty and disused office buildings for one….as more Dutch people than ever are working from home and office complexes are sitting idle and unproductive – something our Dutch colleagues cannot tolerate at the best of times. 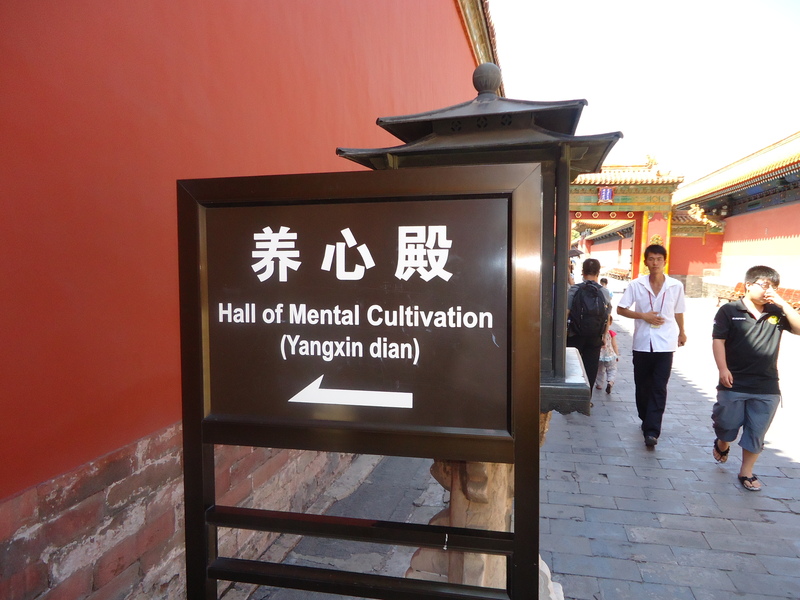 Time for some mental cultivation then? Posted: January 30th, 2013 under innovation, Labour Resource, Observations, Produce Buildings. 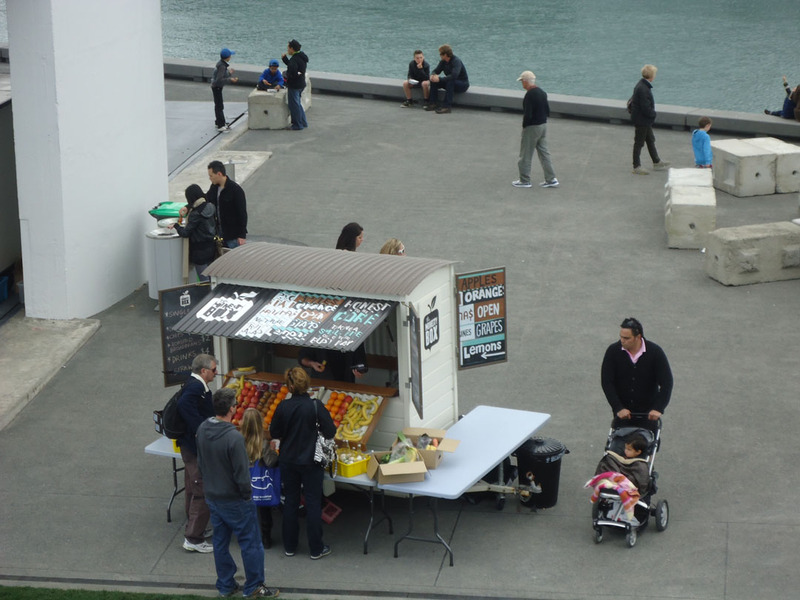 A few weeks ago I explored the Wynyard Quarter – one of the new areas of Auckland’s waterfront which has been revitalised and transformed for the public to enjoy. While wandering around I came across this customised fruit cart which immediately caught my eye. 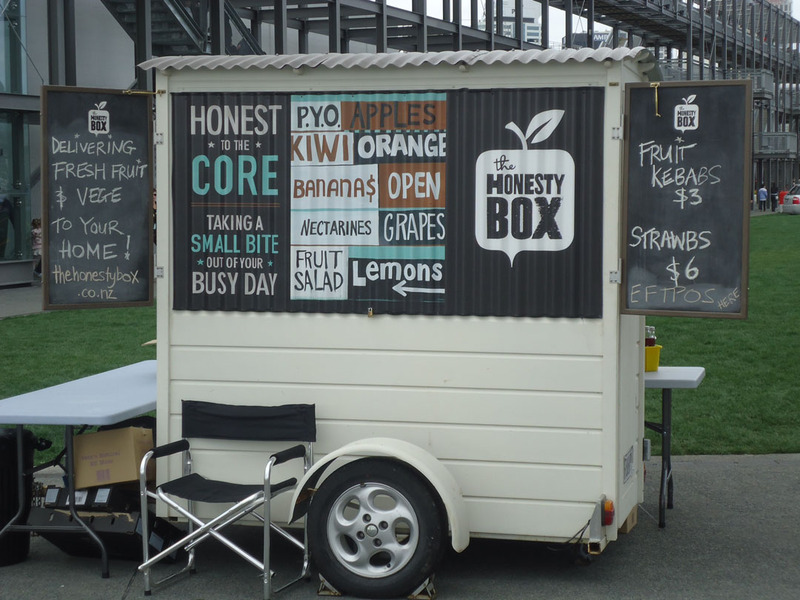 This cart is no different to a typical roadside fruit seller – it’s the same mechanics and employs the same principle – but this ingenious seller is not just selling fruit but has taken it one step further with the added value of selling fresh fruit kebabs. 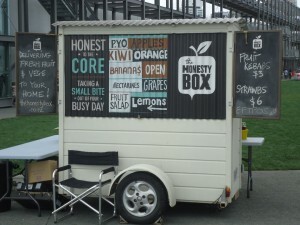 On top of that, this fruit cart also has brilliant marketing – a name we can relate to, eye-catching graphics and advertising and a website clearly displayed. That sort of stuff allows us to put value on fruit. I observed a steady stream of customers, which shows it’s still easy to sell fruit and it doesn’t matter where you sell fruit you’ll always find someone who wants to buy it. Especially when it’s quality fruit at a quality outlet. I would definitely buy from here! Posted: November 3rd, 2011 under Greengrocer, innovation, Produce, value-add. Recently my attention was caught by this egg timer bought by Sara. 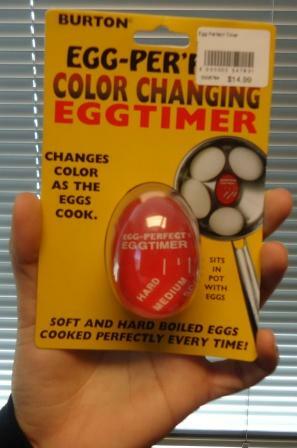 So what is so snazzy about this egg timer, you may be asking; after all, what is so hard about boiling an egg? It goes IN the pot, dear readers. And, it got Sara and I thinking: how could something like this be used to benefit fresh produce marketing. How great would this be for, say, boiling potatoes? Are they new pototoes, or do I want them boiled for mashing, or maybe parboiled in preparation for roasting… imagine the traction potatoes could get utilising one of these in a “Cooking for Dummies” ad campaign. And that would go for all sorts of other vegetables, too. Plus, there is the marketing hook that the modern human loves gadgets. I could see teenagers liking this – I wonder if there is an app for that? One of the biggest barriers facing a consumer of fresh produce is “when is this piece of fruit ready for me to eat?” If they can not be sure, then they tend not to buy it – and certainly they won’t attempt to cook it. The industry has already shown that it can pursue innovation in this area – remember ripeSense? What else can the fresh produce industry do to give the consumer to confidence to buy more produce, more often? In the meantime, Sara, our Iraqi Kiwi with her eye for gadgets, her penchant for travel and her mastery of our facebook, twitter, linkedin and webmarketing affairs can be relied upon to discuss the next ‘very useful’ innovation in a matter of weeks. We will keep you posted. Posted: August 16th, 2011 under Consumer, Education, Food, innovation, Produce. What do you think diversification means? How far would you go to diversify your operation? I’m still on that industry tour in Rotterdam, having my eyes opened by some very clever stuff at a tomato growing operation. This operation has a single structure glasshouse covering 9ha (yes – nine hectares and don’t ask me to convert that to “x number of rugby fields” because I don’t think that way) and had two features that really caught my attention because they’re the result of incremental progress and innovation. The first would make a model railway enthusiast beg for a job here: robotic trains. 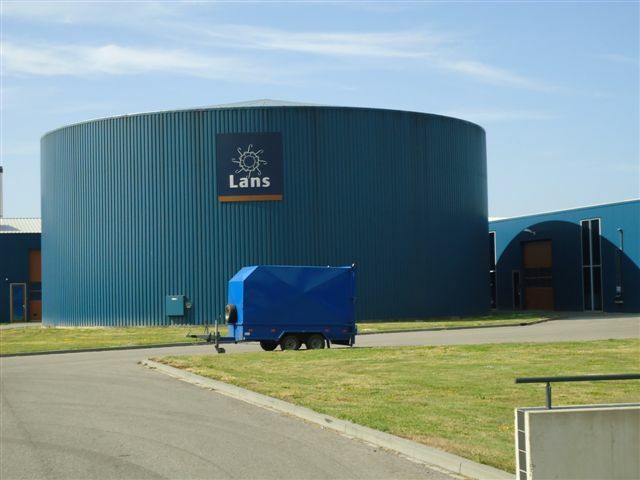 This place was so huge that the trusty Dutch bicycle wasn’t able to deal with the issue of getting from one end of the plant to the other efficiently. 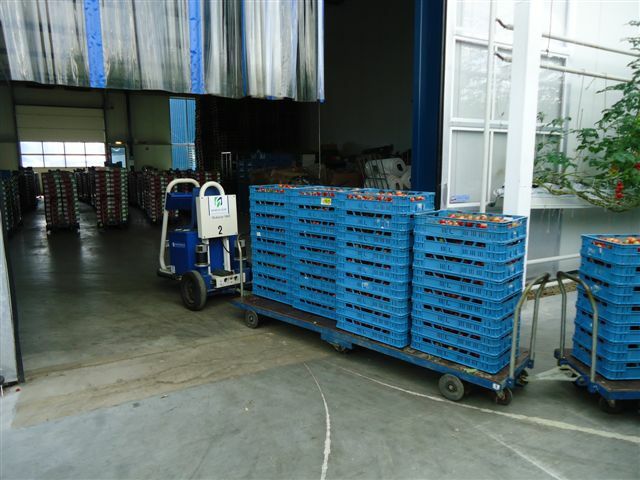 Cue some attention to progress and innovation, et voila, they have implemented a set up where driverless electric “robocars” run between the vines transporting just harvested tomatoes in their crates to where they need to go – quickly, effectively and very quietly. Very nifty, I thought. But wait, there’s more. Those of you who know anything about growing hothouse tomatoes know that glasshouses can be power hungry. For those of you not so familiar with the process, here’s a basic overview: with conventional glasshouses, the growing of winter crops in summer or the growing of summer crops in winter requires the cooling or heating of the glasshouse respectively. Energy utilisation indices for conventional glasshouses range from 2,000 to 2,500 Mj/m2/year compared with office buildings that have a range from 630 to 1,110 Mj/m2/year. With such large energy requirements, any improvements in energy efficiency and sustainability will have a large impact and would be well worth pursuing. Conventional glasshouses are heated with either oil-fired space heaters or various forms of electrical heating systems (using grid-supplied electricity). As a consequence of the exorbitant heating costs involved, the volume of crops grown using glasshouses is constrained, as is the period over which cultivation takes place. I won’t even start on the carbon footprint argument. Therefore, anyone wanting to have a glasshouse operation of any size these days needs to think very seriously about energy supply, cost and environmental impact. As stated earlier, the size of this operation is large. Large enough for them to create a scale of operation that they have found works to keep them in the business of growing tomatoes. Along the way, as a result of pursuing innovation in the area of energy generation and conservation they have achieved self-sustainability with regards their energy needs. If fact, they are now able to generate so much energy that they are able to store the excess and sell it to the national grid! I was told that the plant now makes more income from energy generation than it does from growing tomatoes – the whole reason they started the operation in the first place. Does it matter then, what they grow in this supersized glasshouse? Do they consider themselves a tomato grower or an energy supplier? In order to be the best growers they could be, this operation has been very proactive with progress and innovation in order to produce the outcomes they were aiming at – the same outcomes of any fresh produce grower: quality produce, supplied in volume, in time and with a good return. However, the better they got, the more opportunities it opened up, and in areas I bet they never envisaged when they started down their innovation track. Useful innovation can come from working on ways to improve one’s business so that one can stay in that business. Diversification has long been a mantra extolled by many as an option to safeguard existing business and to grow at the same time. Combining the innovation and diversification surely makes good sense. So, in the drive to stay in business in today’s ever changing conditions, how open would you be to diversifying completely away from your core business, as in this case from producing tomatoes, if the achieved innovation based successes opened up a completely different business opportunity such as producing energy? 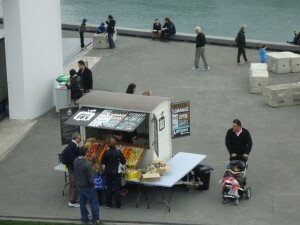 Posted: June 22nd, 2011 under innovation, Produce, Produce Buildings.